During the offseason the Phillies revamped the roster, adding a slew of all-stars — Bryce Harper, J.T. Realmuto, Jean Segura and Andrew McCutchen — while remaining quiet when it came to additions in the starting rotation. Here's a look at the the projected 25-man roster. Roster decisions will be made official on Thursday, March 28 — opening day. 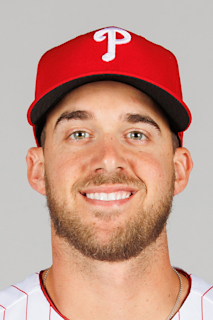 "Age: 26 | B/T: L/R | .388"
The biggest free-agent signing in Phillies history has already provided plenty of buzz, but now the Phillies will see what he can provide on the field. He led the majors with 130 walks yet still managed to hit 34 homers and have the sixth-highest OPS in baseball. Expect him to bat third with Rhys Hoskins providing decent protection behind him. "Age: 26 | B/T: L/R | .279"
A spring-training the Phillies hoped would be a catalyst for Herrera began with him straining his hamstring. He’ll be ready for the opener and should start in center to begin a pivotal season. 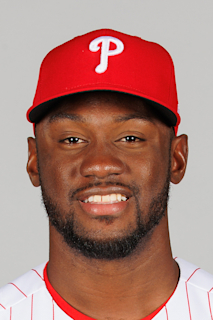 The Phillies have a flux of outfielders in the minors and they could decide this summer to either package them or Herrera in hopes of adding a pitcher. Herrera can stake his claim in center if he plays the way he did for the first three months of last season. 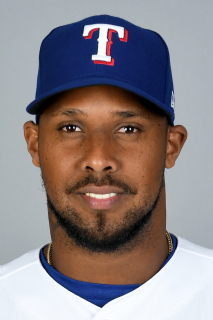 "Age: 31 | B/T: R/R | .287"
If he’s not batting leadoff on opening day, there’s a good chance the team’s new rightfielder will be soon. 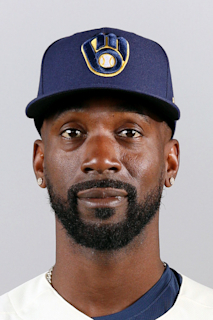 McCutchen has played nearly everyday for the last nine seasons, gets on-base at a high rate, and regularly works deep counts. He might no longer be the MVP he was in 2015 but the 32-year-old should be able to provide consistency at the top of the lineup. "Age: 25 | B/T: R/R | .252"
After an uncertain winter, Franco is still here and the pressure could be lifted. He should bat near the bottom of the lineup as the expectations will be shouldered by the big names batting ahead of him. Perhaps that can be what unlocks Franco, who was the only in baseball last season with 20 or more homers and fewer than 62 strikeouts. "Age: 28 | B/T: S/R | .276"
Not even a broken foot could keep Hernandez out of the lineup as he played all but one game. He’ll be a mainstay again at second base as Scott Kingery continues to move around the diamond. 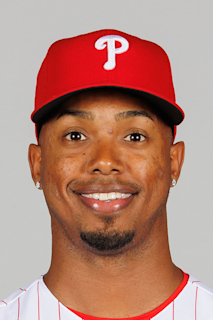 But Hernandez may lose his leadoff spot as the Phillies could opt to put his speed at the bottom of the order to provide almost a second leadoff hitter. "Age: 26 | B/T: R/R | .249"
Hoskins was the only real power threat in the lineup last season as he hit 34 homers, the most for a Phillies player since 2009. He now will bat in the middle of Bryce Harper and J.T. Realmuto. It will be difficult to pitch around him. Hoskins is not just a slugger but a refined hitter as 15 of his homers came with two strikes, which was the third most in the National League. He’s bat should be aided by the comfort of returning to first base. "Age: 28 | B/T: R/R | .287"
Segura does two things the Phillies struggled to do last season: make contact and get hits. He was sixth in the American League last season in hits and registered the fifth-highest contact rate in baseball. Segura also brings an upgrade defensively at shortstop after Phillies’ shortstops finished last season as the one of the worst defensive units in baseball. "Age: 26 | B/T: S/R | .226"
Knapp returns for his third season as the team’s backup catcher after outlasting some veteran competition in spring training. 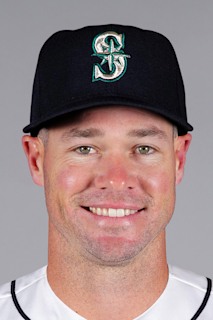 He had just a .683 OPS last season but the team reveres Knapp from his presence in the clubhouse and the relationships he has with the team’s pitching staff. 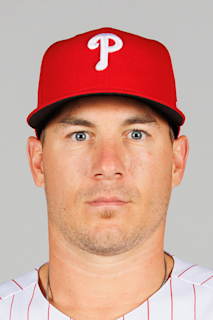 Realmuto will play as close to every day as a catcher can, which will limit Knapp’s exposure in 2019. "Age: 28 | B/T: R/R | .279"
Realmuto’s arrival felt a bit overshadowed by Bryce Harper, but it’s worth remembering that the Phillies added one of baseball’s premier catchers this offseason. He led all catchers last season in WAR and OPS and hit 21 homers for a team that lost 98 games in a pitcher-friendly ballpark. Realmuto should benefit from playing for both a competitive team and in a hitter-friendly ballpark. 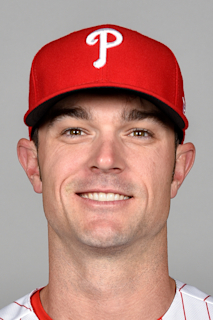 "Age: 24 | B/T: R/R | .226"
Kingery will resume the super-utility role he played last season but it could be a challenge finding regular time for him. The team has everyday players everywhere except centerfield and third base. But Herrera and Franco could command an everyday role if they produce. Expect most of Kingery’s playing time to come in a timeshare at third base. He reworked his swing this winter, bulked up, and should be better than last season’s .605 OPS. He played with Gabe Kapler in 2010 with Tampa Bay and now Rodriguez plays for Kapler with the Phillies. 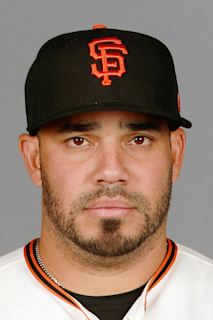 Rodriguez won the job as a utility player after coming to camp on a minor-league deal. 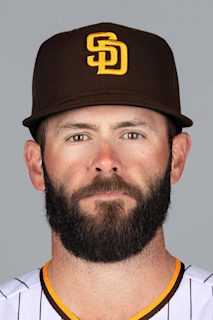 He brings experience - parts of 11 years in the big leagues - and versatility as he’s done everything except catch and pitch. He had just a .591 OPS last season in 150 at-bats with Pittsburgh. He’ll be the team’s backup first baseman. 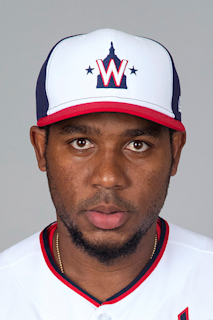 "Age: 24 | B/T: L/L | .269"
Williams lost his starting job when the team signed Bryce Harper, but there is still a role for him to play off the bench. He had a 1.134 OPS last season as a pinch hitter with three pinch-hit homers in 31 plate appearances. Williams learned last season how to come off the bench and he’ll now get the chance to do that as the go-to bat off the bench. 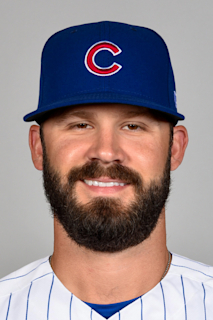 "Age: 32 | B/T: R/R | 3.62"
Arrieta had minor-knee surgery shortly before spring training to alleviate pain he pitched through for most of last season. He also revealed that sometime last season he began throwing from an altered arm slot that came from poor mechanics. 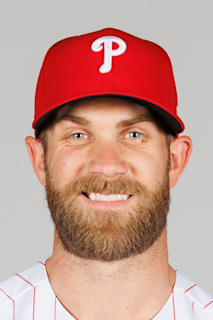 Those two things - plus a full spring training - give the Phillies hope that Arrieta can be better than the pitcher that had a 6.35 ERA in his final nine starts. 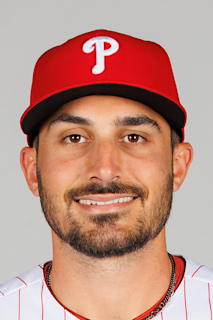 "Age: 24 | B/T: R/R | 5.10"
Eflin, like Pivetta and Velasquez, flashed excellence at times last season but also showed signs of trouble. The Phillies need to find out this season who the real pitcher is. He had a 3.41 ERA in his first 13 starts and a 5.56 ERA in his final 11. A postseason berth could hinge on two of the three back-end pitchers sticking. 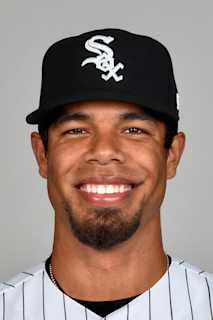 "Age: 25 | B/T: R/R | 3.35"
Nola, who starts on opening day for the second-straight year, seems to be the only sure thing about the starting rotation. He emerged last season as one of baseball’s elite arms as he posted a 2.37 ERA and 0.97 WHIP over 33 starts. The other four pitchers enter as question marks but Nola seems to be a steady presence. "Age: 25 | B/T: R/R | 5.33"
Pivetta has been a popular pick to have a breakthrough season and it’s easy to see why. His fastball is in the mid-90s, his curveball and slider can induce swings-and-misses, and he racked up the 12th-highest strikeout rate last season among all major-league starters. But he needs to get his ERA (4.77) closer to his xFIP (3.42) in order to breakthrough. An added change-up should help. 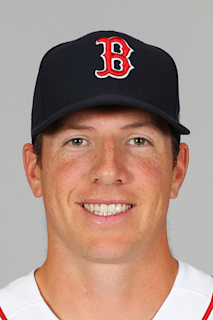 "Age: 26 | B/T: R/R | 4.60"
He has a new number, a new outlook, and a new wind-up but can he be a new pitcher? Take away a brutal 10-run outing and Velasquez posted a 2.16 ERA in 14 starts between May 5 and August 3. If he can be that pitcher, than his rotation spot is safe. But if he’s the pitcher that ended the season with an 8.45 ERA in his final nine starts? A new arm could be headed from triple A. 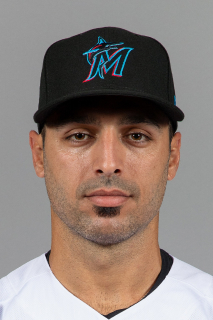 "Age: 29 | B/T: L/L | 3.69"
Alvarez had a 2.71 ERA last season and and allowed just three homers in 63 innings. 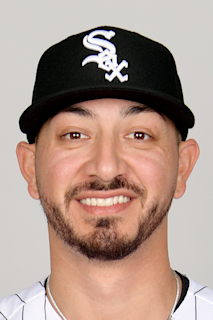 Of 76 lefthanded relievers, Alvarez had the 24th-lowest batting average (.206) against lefthanded batters and the 25th-lowest on-base percentage (.265) against lefthanders. The Phillies, just by sending out Luis Garcia, have another decent lefthanded arm. "Age: 24 | B/T: R/R | 2.95"
Dominguez’s 11.48 strikeouts per nine innings was the fourth-highest last season by a rookie reliever and his xFIP (2.55) ranked fifth among rookie relievers. The Phillies threw him into the fire last year as the team’s most trusted bullpen weapon. He might have some more help this year, but he’ll still be Kapler’s first choice for the toughest outs. 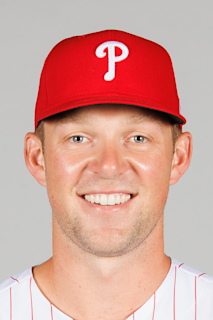 "Age: 29 | B/T: L/L | 4.89"
Morgan, entering his fifth season with the Phillies, is the team’s longest tenured pitcher. 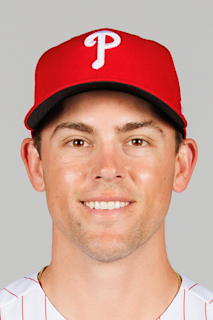 He led Phillies pitchers in appearances last season and finished the season with a 2.45 ERA in his final 31 outings. He gives Kapler both a lefthanded option and a pitcher who can handle multiple-innings. 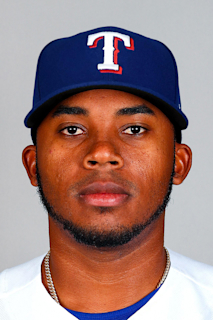 "Age: 29 | B/T: R/R | 3.39"
Neris was one of the worst relievers in baseball for the first three months of last season and one of the best for the final two months. The Phillies will have to find out who the real Neris is. 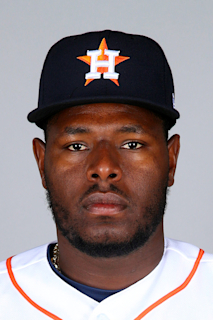 Thanks to an improved fastball, Neris posted a 2.04 ERA in August and September over a 20-game stretch. Neris’ 17.8 strikeouts per nine innings from August 15 to the end of the season was the highest among any reliever. 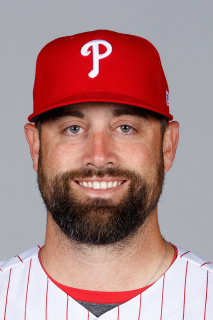 "Age: 38 | B/T: S/R | 2.74"
Neshek, for a third-straight year, will tackle key innings for the Phillies. He didn’t allow a run last season in 16 of his first 17 appearances after coming off the disabled list in July. The Phillies expect him ready for the start of the season. He’ll share the seventh and eighth innings with Robertson. 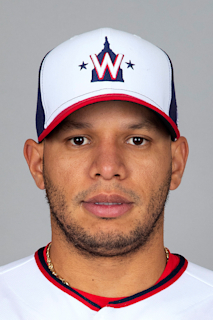 "Age: 32 | B/T: R/R | 4.64"
Nicasio has a spot because of his salary as he’ll make $9.25 million this year after being tacked onto the package that included Jean Segura from Seattle. His ERA last season - 6.00 0 was the sixth-highest among all relievers. And his batting average against - .301 - was the seventh highest. Nicasio was excellent in 2017 (2.61 ERA in 76 games) and the Phillies think he can bounce back. But if not, they won’t have the luxury of keeping him around just because of his salary. "Age: 26 | B/T: R/R | 3.53"
Ramos had a 0.64 ERA in his first 32 appearances but then had a 5.65 ERA over his final 20 outings. His ERA with runners on base (3.00) was the 11th highest among all relievers as he allowed just one extra-base hit with runners on. 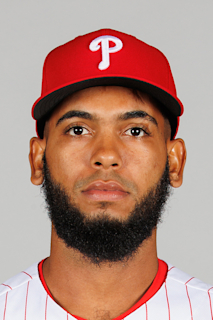 If the Phillies are in a jam, Ramos could be an option for Kapler to call on. "Age: 33 | B/T: R/R | 2.88"
Yes, Robertson is righthanded but he could be Gabe Kapler’s most trusted reliever against key lefthanded hitters. Since 2004, Craig Kimbrel and Dellin Betances are the only righthanded relievers with a better career strikeout rate against lefthanded batters than Robertson’s 12.8 strikeouts per nine innings mark. Robertson is more than comfortable with Kapler’s style as he has spent most of his career pitching in everchanging relief roles.